Puzzle size: 3 x 2 ft. Box size: 12¼ x 7 x 2&frac58; in. 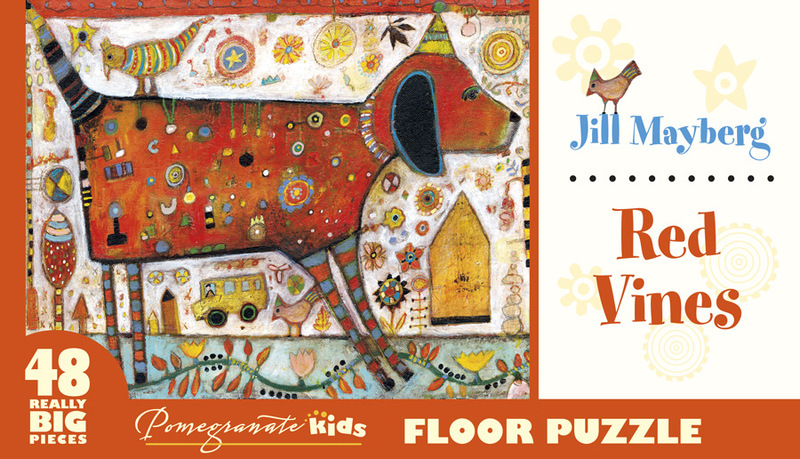 It’s a beautiful day to celebrate with Jill Mayberg’s persimmon-colored pup! He’s ready with party hat on and bird friends in tow, off to school or maybe to play in the flowers. The artist, who grew up in a family that shared her passion for art, often paints with mixed media, creating happy scenes with her animal friends.